There are so many delicious vegan dishes to choose from that you’ll never be short of ideas. How about Indian curries, spaghetti, pizza, enchiladas, Chinese stir fry, sausage and mash, falafel, vegetable casserole and dumplings, sandwiches, wraps, samosas, quiche, soups, pasta and pesto, spring rolls, lasagne, spicy bean burgers, risotto, hot and sour soup, Thai green curry, Moroccan tagine…and don’t forget dessert! Vegans can enjoy sponge cake, ice cream, cheesecake, chocolate chip cookies and more that taste as good, as or even better, than their non-vegan equivalents. Rest assured that vegan food is just as tasty and varied as any other type of food. You don’t have to be a genius in the kitchen or have loads of time to cook – quick and easy vegan meals include stir fries, pasta and sauce, chili, potatoes and burritos. If you do enjoy cooking, you can have lots of fun trying out new recipes and discovering new favorite ingredients and dishes. WHAT ABOUT EATING IN RESTAURANTS? Many restaurants offer vegan options and the choice is improving all the time. Some chain restaurants offer vegan options. Indian restaurants usually have a good selection for vegans, and Middle Eastern, Chinese and Thai restaurants often have vegan dishes as many of their vegetarian dishes do not contain milk or eggs. Just check with the staff to make sure there are no hidden animal ingredients, such as fish sauce in Thai food. Most restaurants can accommodate vegans even if vegan options aren’t on the menu. All you have to do is ask. You’ll often find that the cook or chef enjoys the ‘challenge’ of cooking vegan food for you! No more than any other type of food. In fact, meals based on vegan staples such as pasta, rice, beans and vegetables often work out cheaper than using animal products. Vegan meals in restaurants are often cheaper than the meat dishes. Products such as non-dairy milk, veggie burgers and vegan pesto are usually a similar price to their non-vegan counterparts and are available in most supermarkets. As with any type of food you can splash out on luxuries if you like, but that’s entirely up to you. HOW CAN I MAKE SURE I REMAIN HEALTHY? 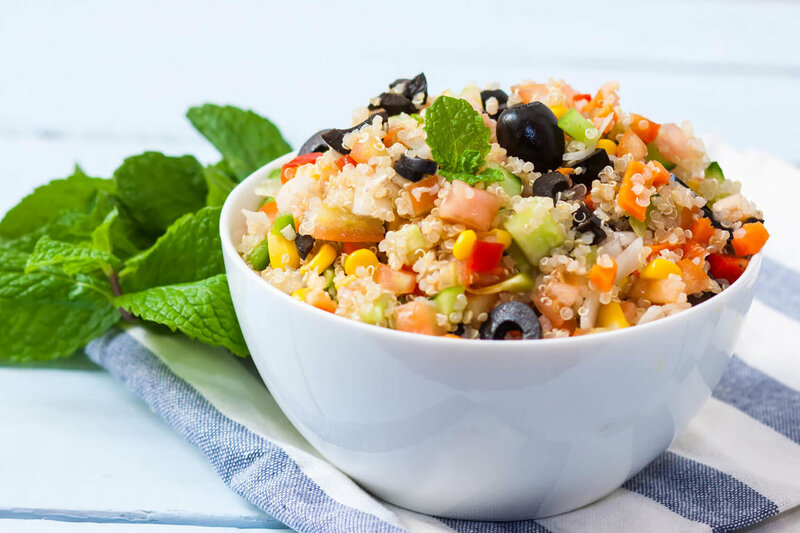 A balanced vegan diet meets many current healthy eating recommendations, such as eating more fruit and vegetables, whole grains and fiber and consuming less saturated fat and cholesterol. It can also decrease your chances of suffering from heart disease, stroke, diabetes and some cancers. Well-planned vegan diets meet nutritional requirements for all age groups and stages of life. Vegans need to obtain vitamin B12 either from supplements or from foods fortified with it. Our bodies produce vitamin D by the action of sunlight on skin, so depending on where they live, it may be advisable for vegans to consume vitamin D2 during winter through supplements or fortified foods (particularly in northern countries). Other than Vitamin B12 and Vitamin D, all nutrients necessary for good health can be obtained from plant foods in adequate amounts. WILL I MISS CHOCOLATE/PIZZA/ICE CREAM/CHEESE/CAKE? No you won’t! There are vegan versions of or alternatives to many familiar foods, including all of the above. You will not have to give up that favorite food after all. WHAT IF I EAT AT A FRIEND OR RELATIVE'S HOUSE? - I DON'T WANT TO BE 'DIFFICULT'. You may find that friends and relatives get into the ‘challenge’ of cooking vegan food for you and will look forward to having you to show off their latest efforts!